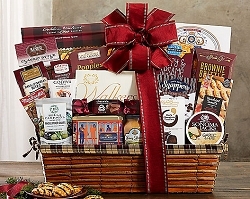 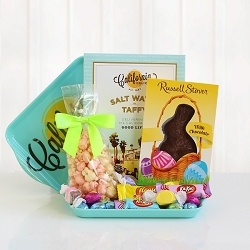 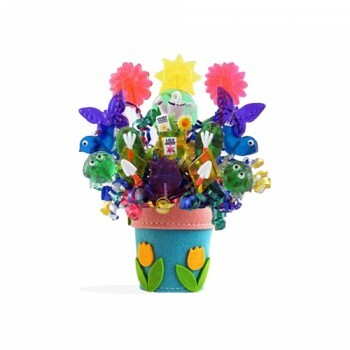 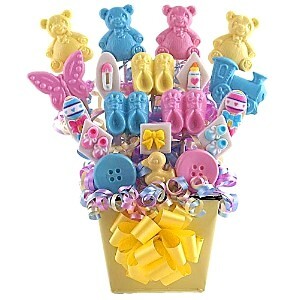 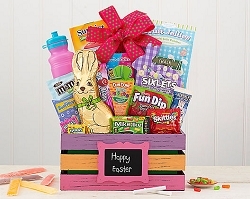 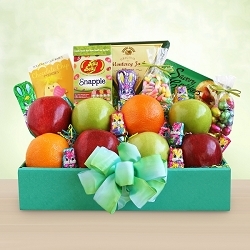 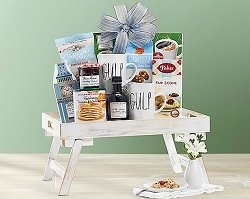 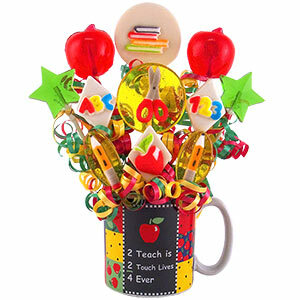 Welcome the new season with this harvesting candy bouquet gift basket! 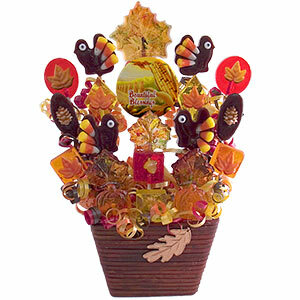 16 hand-poured autumn themed lollipops are nestled into a beautiful leaf embellished container. 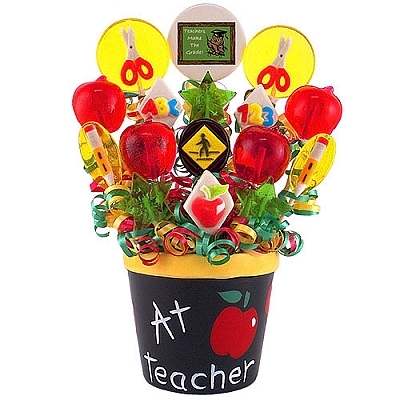 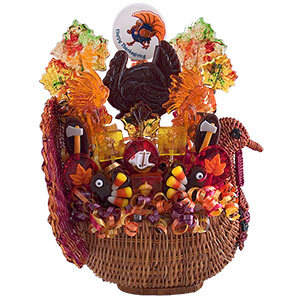 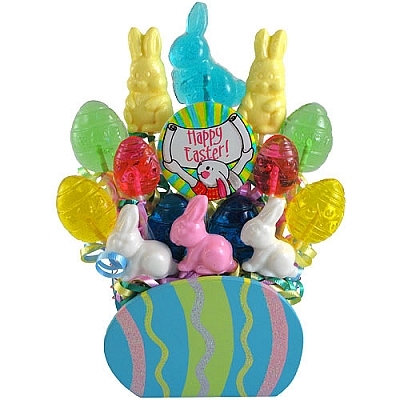 Lollipops in the shape of leaves, pumpkins, turkeys and more are sure to brighten the recipients day. 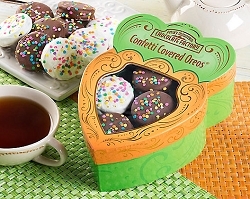 Assorted flavors include chocolate, butterscotch, lemon, marshmallow and tangerine. 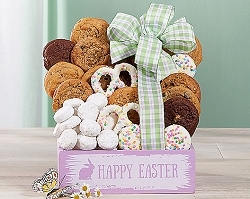 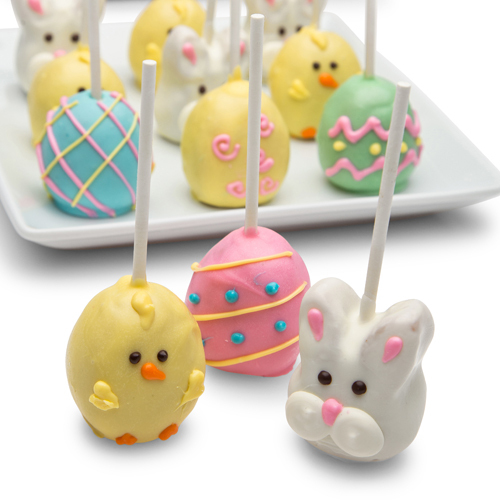 A delicious sweet treat for the entire season!